One of the most exceptional dancers in professional community today, unique choreographer with wide range of skills and performing abilities, Dasha was born in Moscow. Growing up in the heart of Russian Ballet training, she blossomed into a beautiful technical dancer, who over the years has worked with companies such as Moiseyev Ballet, Bolshoi Ballet (Moscow), Riverdance company (European tour). Dasha also became known in Europe as a principal dancer and actress in world famous productions like “Cats” (Moscow), “Romeo & Juliet” (Moscow), “Chicago” (Tour), “Burn the Floor” (London), etc. After receiving her Masters ( Russian Ballet Academy, Russian Theater Academy) Dasha made her way West – towards new goals and creative dreams and has been working in US since then. Her professional credits include: Madonna, Black Eyed Peas, Beyonce, Cirque Du Soleil (MJ), MTV Music Awards, Billboard Awards, Pharrell, Daft Punk, etc. Dasha currently lives and works in Los Angeles, but also teaches across the U.S. and internationally (NYC, D.C., Italy, Russia, Netherlands, Japan, Israel and Spain). 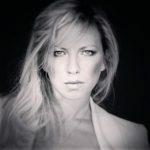 Dasha is a professor at one of the renowned Dance Programs in USA today – American Music and Dramatic Academy (AMDA LA). Known as a great educator and mentor, she travels the world and country in search for the next up & coming dance stars, teaches at Dance Festivals and Conventions all across the U.S. In June 2015, Dasha launched and became one of the Artistic Directors for the latest exciting addition to renowned Millennium Dance Complex in LA- MDC The Company and MDC Crew. Her Company became a home for some of the best young dancers in professional industry and a dream company for so many aspiring dancers. Two years in a row ( 2016 and 2017) Dasha has received an Outstanding Choreography Award from the world known YAGP Youth American Grand Prix- the pearl of Classical and Contemporary ballet Competitions. Best Original Choreography and Best Routine Awards from ASH Artists Simply Human Convention and Pulse on tour.